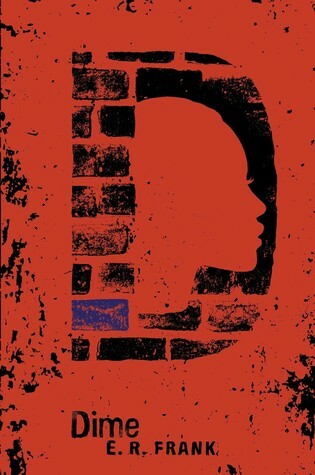 As a teen girl in Newark, New Jersey, lost in the foster care system, Dime just wants someone to care about her, to love her. A family. And that is exactly what she gets-a daddy and two “wifeys.” So what if she has to go out and earn some coins to keep her place? It seems a fair enough exchange for love. This is going to be a short review, because honestly, I’m not sure what to say about Dime besides the fact that I really, really, really liked it. This was an intense read. And heart-breaking. And it made me ANGRY. And I wanted to jump through the pages and hug Dime and take her home with me. It almost feels wrong to say I was riveted from the open paragraph, but I was. Dime’s voice and story drew me in and it was like I was addicted to the book while I was reading it. It was one of those books that I ignored life for a few hours in order to read. If you are all about happy, light stories, then this may not be the best choice for you. But, if like me, you LOVE realistic books that aren’t always easy to read but make you feel all kinds of things then you will absolutely love this novel. I am soooo looking forward to curling up and reading this evening. It’s all rainy and windy and dreary here, so perfect reading weather in my books. Once I get some work done I’ll be delving into Kate Blair’s Transferral. I started it Tuesday night and I really like it so far, even though I’m only about twenty pages in. I have a feeling that once I hunker down, I’ll probably finish it tonight. 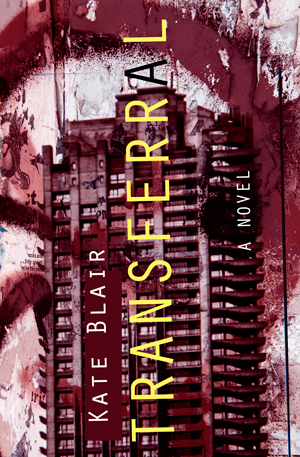 Transferral, the debut from Kate Blair, is a chilling look at a world gone wrong because of its efforts to do right. This book had a really really cool and a really really scary premise. It was something I could actually see happening in the future. So I didn’t have to suspend my sense of belief for the plot. I did a bit, though, for the relationship between Wyatt and Patsy. I know in the blurb their “intense chemistry” is mentioned but for me, the attraction was a bit too quick and deep, especially given the circumstance they were in. I would think given the fact that Patsy had to kill Wyatt’s brother that there would be a bit more tension and push and pull between them. They seemed to fall in love (or lust?) rather quickly and formed an instant bond. It just didn’t ring 100% true to me. Of course, I am also very picky about my romance in books and this could totally just be a me thing. With that being said, I did enjoy the book and the writing. The fact that she had to kill these people in order to keep her mother and herself alive was horrifying. And I really felt the struggle that Pasty had with what she wanted to do versus what she she had to do. And the total feeling of having no control over her life. There were also some big surprises that I didn’t see coming and true moments of “OMG I can’t believe that just happened” which far outweighed my unease with the swiftness of the romantic relationship. This was a fast-paced read that had some truly horrifying moments in it that only added to the suspense and tension in the story. 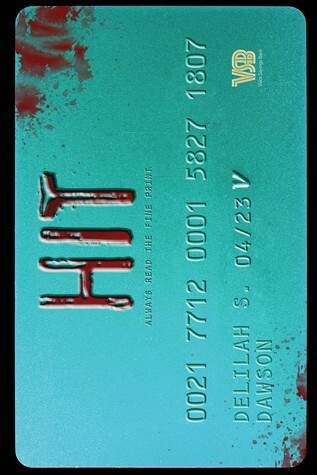 It was well written and well plotted and very enjoyable. If you’ve followed this blog since its beginning, or know me IRL, then you know that Kelley Armstrong is my favourite author. I am a HUGE fangirl of hers. Kelley’s been to the east coast several times for book signings and events but the stars have never lined up so that I could go. Kelley was one of the authors featured this year at Hal-con. Once she was announced I became hell-bent to get over and see her. I was singular in my mission. I asked the hubs if he wanted to go and he said yes and we bought our tickets for Saturday. We made the commitment and I was over the moon happy about it. Now, you need to understand why we just opted to go over one of the three days. We have a very unique household. We have a lot of animals, so the two of us going away for a weekend just isn’t doable. We may have been able to convince someone to come in and feed the dogs and let them out, make sure all our cats had food and water, the bunnies were okay, and go to our barn and feed our goats, but with 36 baby ducklings in the house, along with four chicks plus all the birds in our barn, it’s really too much to ask of someone. So a day trip it was. But that’s how much I wanted to meet Kelley. I was willing to do a day trip that saw me up at 3:30 am Saturday and not in bed until 1:30 am Sunday, driving almost 4 hours to Halifax and then back. AND ZOMG it was worth it! The day was pretty amazing. I actually saw Kelley walking back to the venue after lunch and before her signing and did my typical fangirl freakout and was too overwhelmed to approach her. I did, however, talked to her before her signing and I am proud to say I didn’t cry or dork out. Although I may have cried AFTER I got to talk to her. I brought an earlier edition of the Stolen paperback to get signed, because it was the first book of Kelley’s that I ever bought, so it has a lot of meaning to me. It was fun to chat with Kelley about the cover, which she said she hadn’t seen in a long time. Her Q&A was just amazing. The only downside was I wish it had been longer. She had prizes for those who asked a question. 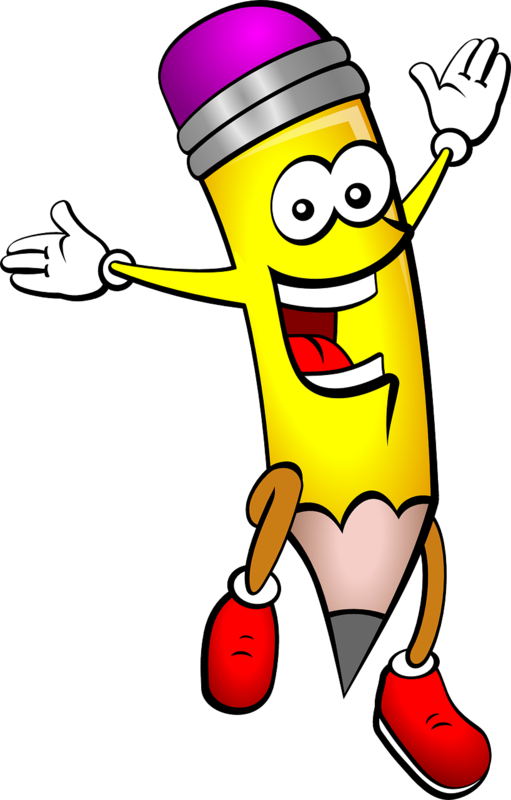 I got up my nerve to ask a question (What is the most challenging character to write. The answer was Eve — who is one of my fave characters — because she’s so different from Kelley. Kelley also said she’s one of the most fun characters to write.). And then KELLEY ARMSTRONG GAVE ME A BOOK. A wonderful collection of her short stories. I may have spent the rest of the day hugging it. So, yeah, Saturday was a big day for me. I was able to meet my favourite author and check one name off my Authors I Need to Meet bucket list. I’ll be giddy about that for a while. For those of you who may not know, National Novel Writing Month — aka NaNoWriMo — happens every November. It’s when writers decide to punish — I mean challenge themselves by writing a 50,000 first draft of a book in a month. It works out to be aprox 1,666 words a day, which doesn’t sound too bad, right? And it’s not. Until you factor in things like regular life, things that pop up, writer’s block, writer’s fatigue, plot that goes nowhere, characters that become assholes and drafts that just won’t let themselves be written. I’ve tried it about four times. The first time was 2006 and I was successful. The second time, 2007, I got about half way through. My third try was 2011 and I got most of the first draft done. Last year was my fourth attempt and I got as far as planning out the book. So my success has been varying. But the cool thing about NaNoWriMo is that you can participate how you want and you can judge your success how you want. Last year, when I plotted out a book, it was the first time I had tried to work on something new in over four years. So, yeah, I was pretty happy with that. This year I’ve decided to give it another go. I haven’t written a whole lot in the past few years, and for a while I actually made a conscious decision to not write. I gave it up. But I recently realized that I really, really miss writing. So here I am. A few weeks ago I plotted out a non-fiction book on the various animals that we have looked after over the years. (Plotting before November 1st is not only allowed, it’s encouraged.) Yesterday, during a Q&A with Kelley Armstrong, which I will tell you all about tomorrow, I realized I didn’t want to write non-fiction right now. I wanted to write fiction, but had no freaking idea what to write. Then this morning I remembered last year’s plotted out book, which is the first book in a cozy mystery series. So I dug out my notes and it feels like an awesome fit for this month. This morning I’ll be going through those notes, rewriting them out and then getting my 1,666 words in. How about you guys? Anyone else NaNoing this year?